“Strangers are just friends you haven’t met yet” the saying goes and it is so lovely that people neither Ruthie nor I have ever met are rustling up Silver Screen Suppers dishes in kitchens all over the world. So a big thankyou goes out to Shirley in Wisconsin for testing and devouring Fred’s Chocolate Cake. I also love the fact that Shirley felt a swell of state pride as she whipped up the cake, as Fred hails from her in-laws’ hometown of Beaverdam, Wisconsin. Wonderful! 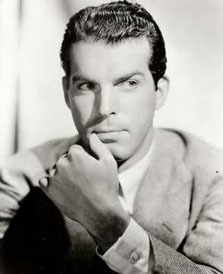 Don’t forget that you can always have a bottle of Fred MacMurray wine to go with your cake – still being produced at his former vineyard in California – www.macmurrayranch.com – yum!